Today the Fairfax County Board of Supervisors made final decisions on the budget for next year. The bike coordinator position was on a list of possible budget reductions. However, the Board agreed to fully fund the position. Thanks to everyone who contacted the Board and/or sent comments to the budget office. The coordinator position is critical to ensuring the Bicycle Master Plan is adopted and implemented over the coming years. We are glad that the Board agrees and allocated funds. We're hoping that they also fully fund the bike program and find funding for an organization similar to Bike Arlington that will encourage more people to travel by bike. We were not overly concerned about funding for the position. We know that the majority of the Board understands the need for the bike coordinator position. We have fought this battle before. In 2010 Supervisor Herrity first raised the issue of eliminating the position. Since that time the position has appeared multiple times on the list of possible cuts proposed by the County Executive. We plan to write to the Board thanking them for funding the position and asking them to fund the bicycle program next year and start now to search for a replacement for the current bike coordinator, who will be leaving at the end if this year. Saturday, May 3 - Vienna Bike Rodeo from 9-noon at Vienna Volunteer Fire Department. Sunday, May 4 - Alexandria Spokeswomen lead their bike shop ride leaving from Jones Point Park at 10:00 a.m.
Monday, May 5 - Safe Routes to School Workshop at Mt. Vernon Woods Elementary School from 12:15-3:30 p.m. facilitated by Mark Fenton, an expert on Safe Routes to School initiatives and walkable communities. Tuesday, May 6 - Healthy Community Design Summit at the Kena Conference Center from 8:30-noon. Mark Fenton is the keynote speaker. Tuesday, May 6 - Bicycle Master Plan briefing at Board of Supervisors Transportation Committee meeting at Fairfax County Government Center. 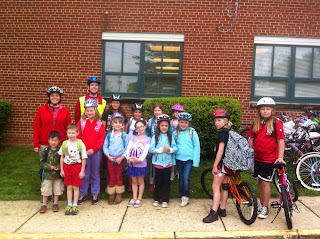 Meeting starts at 10 a.m.
Wednesday, May 7 - Bike to School Day is celebrated at over 25 Fairfax County schools. Is your school holding an event? Saturday, May 10 - Reston Bike Rodeo at Lake Newport pool from 1-4 p.m.
WHERE: Registration, ride start and finish, closing ceremony, and raffle drawing are all at the Reston Town Center on Democracy Street between Library and Explorer in front of The Bike Lane (bike shop) in Reston, VA. Download a pdf map of the Reston Town Center for location and parking garages. Following Paul’s Ride, riders may enjoy participating in the Great Grapes Wine and Food Festival beginning at Noon. Both Paul’s Ride and the Reston Wine Festival are rain or shine events. ROUTE: Start at Reston Town Center on Democracy Street. All rides are out and back heading west along the Washington and Old Dominion (W&OD) Trail. The route is paved asphalt. The ride includes 10, 20, and 1/2 Century +2 mile options. Volunteers will be at several rest stops along the way to cheer you on and nourish you with goodies. We’ve even heard a rumor that cookies might be at every rest stop this year! Tour de Fat returns on Saturday, May 31 to Yards Park in DC. The party starts with a costumed bike ride at 11am and includes music, games, food, and beer from New Belgium Brewery, makers of Fat Tire Ale. Tour de Fat is also a major fundraising event for FABB. FABB volunteers check IDs and attach wristbands during the event. In exchange we receive a portion of the proceeds. Volunteering at Tour de Fat is a great way to have fun, help FABB raise funds for our advocacy work, and get to know some of the core FABB volunteers. Volunteers receive a free t-shirt and two beer tokens. We will likely have bike convoys of volunteers to the event. We need volunteers for the the morning (10-1:30pm), midday (11:30-3:00pm) and afternoon (1:30-5pm) shifts. Contact me at chairman@fabb-bikes.org to volunteer. 1. A Safe Routes to School Workshop on May 5th at 12:15 p.m. at Mt. Vernon Woods Elementary School will include a walking audit to learn how to create more walkable/bike friendly settings with Mark Fenton, a nationally recognized expert in public health, planning and transportation. Register now! 2. The next day, the Healthy Community Design Summit will identify strategies to implement active living design locally. Also facilitated by Mark Fenton, the Summit is May 6th at 8 a.m. at the Kena Conference Center. Register now! 3. Bike to School Day is May 7th! Register your school and plan your even now! The Commonwealth Transportation Board (CTB) is holding public hearings on future transportation projects included in the Six Year Improvement Program. This is an opportunity for cyclists to ask the CTB to fund bicycle projects as part of a comprehensive, multi-modal transportation system. Fairfax County is concentrating future development around transit and other activity centers, and bicycling is key to the success of those areas. Yesterday the League of American Bicyclists announced the latest batch of Bicycle Friendly Businesses around the country. Congratulations to Spokes, Etc for being recognized as a Silver Bicycle Friendly Business! 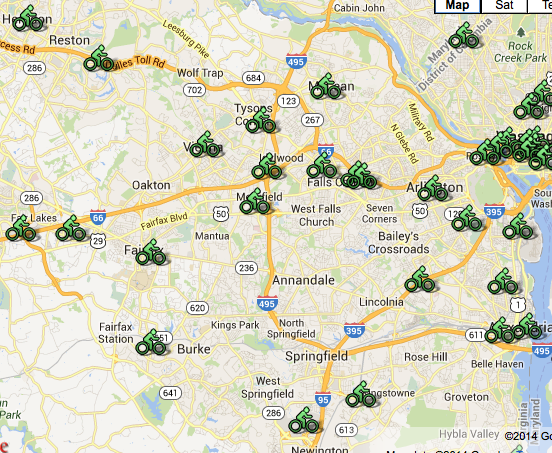 Spokes is locally owned with five stores in Northern Virginia, including two in Fairfax County. Spokes has been a supporter of FABB for many years. Labels: bicycle friendly business, spokes etc. National Bike to School Day is only two weeks away, on Wednesday, May 7. So far 26 Fairfax County schools have registered events on that day, including some schools that have not participated in the past. Is your school registered? Seven schools in Reston and eight in Vienna are holding events this year. About Bike to School Day The first-ever National Bike to School Day took place on May 9, 2012, in coordination with the League of American Bicyclists' National Bike Month. Almost 1,000 local events in 49 states and the District of Columbia joined together to encourage children to safely bicycle or walk to school. National Bike to School Day 2013 was held on May 8, with Bike to School events taking place throughout the month of May. More than 1,700 schools in all 50 states plus the District of Columbia participated. Happy Earth Day! I hope you had a chance to celebrate by biking to work, school, workout, shop, etc. Thanks to Dennis and Kelley who represented FABB at the Freddie Mac Earth Day event today. FABB has attended several of the events in the past at the Freddie Mac offices in Tysons and there is usually a large crowd. Several Freddie Mac employees commute by bike. Their bike commuter group was also represented at the event. The FABB crew handed out over 60 Fairfax Bike maps, discussed the Bicycle Master Plan, riding to the new Silver Line Metro stations when they open, and the Tour de Tysons, which this year includes a fun ride on the course between races. We've been told that Arlington County recently allocated over $300,000 to remove snow from trails in the county. This comes on the heels of NVRPA plowing the W&OD Trail for the first time this winter. Thanks to WABA and others for advocating for this funding, and thanks to Arlington for considering the needs of cyclists. The following information is provided in response to requests raised by bicycle advocacy groups regarding snow clearing on multi-use trails in Arlington. Currently, the Department of Parks & Recreation (DPR) does not treat or plow bike and pedestrian trails as a priority service. The current DPR snow response time for clearing trails is typically two or three days after the snowfall stops on those trails denoted as Priority 1. DPR’s primary focus during and immediately after a snow event is to clear sidewalks and parking lots at the Libraries when they are open. If the storm starts and County facilities (including Libraries) are closed, DPR will gauge the response to have everything cleared when the building opens to the public and then address the clearing of trails. With additional funds DPR could expand the service level on trails that would pre-treat trails before any storm, start clearing the trails throughout the snow fall, and post treat any areas that may refreeze post storm (with the same prioritization/response time currently given to primary (red) and secondary (blue) arterial streets). This service level could be met with a combination of ongoing and one-time funding. One-time funding of $227k for two pieces of snow removal equipment ($127k) and construction of an equipment storage facility ($100k). Ongoing funding - DPR proposes to shift existing personnel and supply resources (salt and sand) from clearing Libraries parking lots and sidewalks to perform snow removal on trails. New ongoing funding would be necessary to contract out the snow removal at Libraries ($68,415) and for the annual expenses for the maintenance and replacement of the snow removal equipment ($14,700); the amount of ongoing funding totals $83,115. The Tysons Park System Concept Plan was recently released by Fairfax County. As Tysons transforms from a car-dominated place to a livable, walkable, bikable community, park space will play an important role. Residents and employees of Tysons should be able to travel to and between these park spaces without the need for a car. Connectivity is an important part of the new park plan. An entire section of the plan is devoted to the subject, with an emphasis on transit, ped and bike access. It includes a proposed "Tysons Community Circuit," a 4-5 mile recreational trail loop connecting the planned parks in Tysons. You can support the goal of a connected park system by filling out the brief questionnaire. A well-connected park network can be enjoyed by more people! Augmenting the park network with connections between isolated park spaces, stream valleys and key points of interest will enhance the value of all parks and further distinguish Tysons from other urban areas. Creating opportunities for cyclists and pedestrians to experience park spaces and points of interest in Tysons safely and conveniently is crucial. This can be achieved through appropriate placement of new parks and a well-planned recreational trail system that connects and extends public sidewalks, bike lanes and bicycle facilities, recognizing the importance of trails in accessing Metrorail stations. The emphasis here is on recreational use of trails. 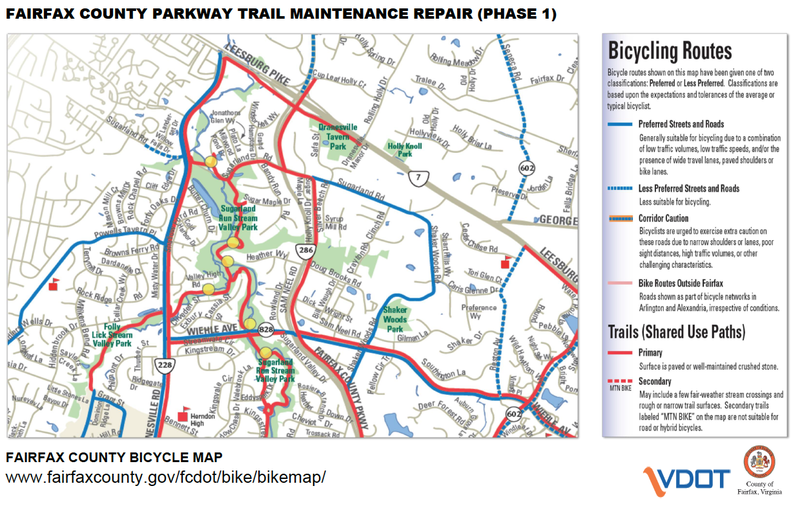 Phase I of the Fairfax County Bicycle Master Plan covers the Tysons area and provides detailed bicycle infrastructure recommendations, including trail connections to neighborhoods outside of Tysons, on-road bike lanes, and other facilities to support commuter cycling. The Tysons Circulator Study proposes a three-route bus system to support Metrorail transit ridership and minimize vehicular trips to, from, and within Tysons. Consideration of planned bike and Circulator routes will better inform park and trail network locations. 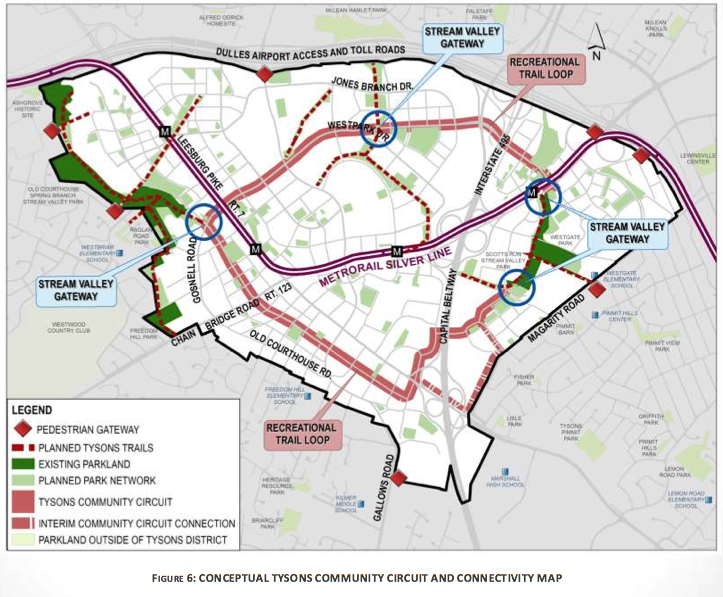 Tysons Community Circuit: The planned bicycle network is extensive but focused on the cycling commuter and, therefore, not ideal for a child learning to ride a bike or a family out for a leisurely excursion. An off-road trail system along the stream valleys and power line easement will provide for some of this recreational trail need, however, with limited connectivity and limited coverage throughout Tysons. There is a need for another type of recreational trail that is more closely integrated with the places where people live and work, linking parks and points of interest, while providing the flexibility for a variety of users to share the space safely. Alexandria women will be heading out on two wheels from Jones Point Park on Sunday, May 4th, to let the local bike shops know that they are an important and rapidly growing market for them. "Women are a powerful consumer force," says the League of American Bicyclists in its August 2013 "Women on a Roll" report on women's cycling, "but too often they do not feel welcome in bike shops or do not feel products address their desires and needs." From more information see the Alexandria Spokeswomen website. The minutes of the March 26 meeting are now available at the Virginia Bicycle and Pedestrian Advisory Committee website. Topics discussed included the 2014 VDOT bike/ped work program, which includes organizing a delegation of VDOT staff to "travel to Arlington to learn how bicycles and pedestrians are integrated into everyday decision-making," and presentations on recent bike research contracted by VDOT, Multimodal design guidelines for mixed-use urban centers, and the Wiehle-Reston East Metro station bike room. 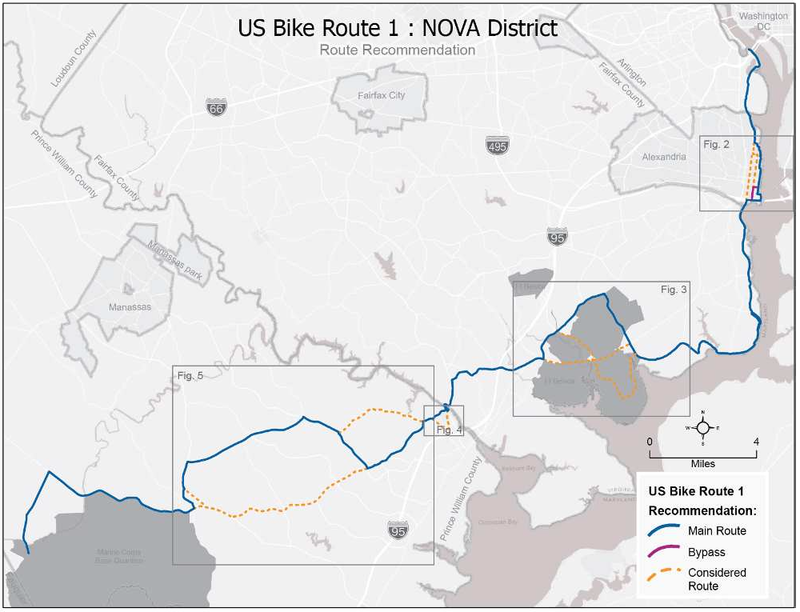 VDOT has released its recommendations for realigning U.S. Bike Route 1 in the Northern Virginia District. See the recommended alignment and take the survey to provide them with additional feedback. Bike to Work Day is Friday, May 16. It's a great time to celebrate biking in Fairfax and this year there are two new "pit stops." Downtown McLean will host their first event at Greenberry's Coffee on Redmond Dr. The other new event is at Fair Lakes Center near Fairfax Co Parkway and I-66. Register for one of the area events and receive a free t-shirt, refreshments, and be entered for a bicycle raffle. Last year over 1,000 people registered for Fairfax events. Repair and repaving work on the Fairfax County Parkway Trail will begin on Monday, April 21. The work will begin at Route 7 and proceed south. We've asked that access be provided during construction but in some instances that won't be possible. Below is a draft of the signs that will be placed on each end of the section of trail under repair. Below that is a map of the appropriate section of the county bike map that VDOT has agreed to post as well. These signs are a major step forward for VDOT in notifying users of trail closures. In the past very little notice was provided and trails were merely closed. Thanks to VDOT for working with the bike community to help inform users about trail closures and provide an aide in finding detours. See earlier FABB blog posts about this project. Where: From Wiehle Avenue to Rte. 7 Leesburg Pike. With Bike to Work Day scheduled for Friday, May 16, now is the perfect time to dust off your bike and ride it to work, school or to dinner. If you are a bicycle commuter or just getting started, join us for an interactive presentation by Tom Wyland, FABB board member and bicycle advocate. You will learn how to get around town by bike with a focus on what you might need, how to find a route, and tips for getting started. There will also be an update on W&OD trail crossing improvements planned in Herndon. Getting places by bike is easy and fun, so take advantage of this free class provided by the Town of Herndon! Thurs., April 24th 7-8 p.m. 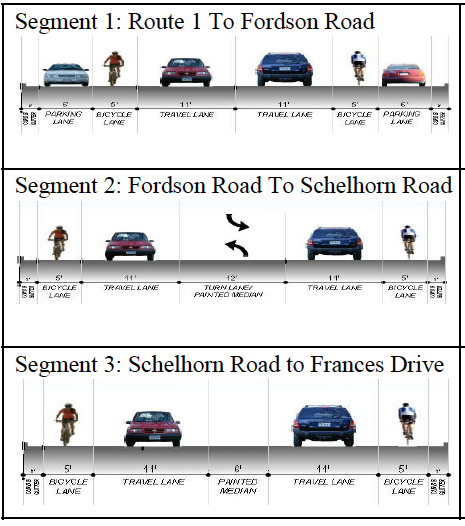 In a memo to local officials, Fairfax County DOT announced that the Sherwood Hall Lane Pavement Marking project will include bike lanes from Route 1 to Fort Hunt Road. Thanks to all the cyclists who took the time to comment on the project and thanks to WABA for helping to get the word out. Unfortunately the little-used on-street parking is also included. The bike lanes "will be carved from the existing parking lane." Without seeing the final pavement marking plan it's difficult to determine whether or not the bikes lane will be located in the "door zone" but it seems likely. While we're encouraged to see that bike lanes are included in the plan, we think this is a missed opportunity to provide a more safe street for motorists and bicyclists. Not only will the on-street parking be retained, but the two way left-turn lane will be removed in Segments 4-6 which means motorists will likely use the bike lane as a passing lane when traffic is turning left. See our earlier post that includes the segment map and profiles. After some searching I could not find information about the project on the county website. We hope to review the final pavement marking plan when after it is presented to VDOT on April 25. This memorandum is an update on the Sherwood Hall Lane Pavement Marking project. We have received seventy seven comments via mail, email, and comments provided at the public information meeting before March 26th. We also received six comments after the March 26th deadline. The comments have been compiled and they are mainly focused on retaining on‐street parking and providing bike lanes. The overwhelming desire of the residents in the eastern portion of Sherwood Hall Lane is to retaintheiron-streetparking. We understand that this space provides benefits beyond merely vehicle storage, such ascreating a buffer between the curb and fast‐moving traffic, and providing a safe place to walk where sidewalks do not exist. The proposed design on this segment will remain the same. We will look at the queue length of the east bound right turns and provide enough gap in bike lanes for the right turning vehicles. The proposed design on this segment will remain the same. We will look at the queue length of the west bound right turns and provide enough gap in bike lanes for the right turning vehicles. The proposed left turn lane into the library will be preserved. The proposed left turn lane into Frances Drive will be removed and the existing parking will be retained on the south side of Sherwood Hall Lane (in front of the library). The proposed two way left turn lane will be removed. The existing parking will be retained on both sides of Sherwood Hall Lane and the bike lanes will be striped. The proposed two way left turn lane will be removed. We will provide a new eastbound left turn lane into Kirkside Drive. The existing parking will be retained. The rest of the proposed design remains the same. We will implement typical section concept 2 on this segment. The proposed two way left turn lane will be removed and the bike lanes will be striped. The existing parking will be retained. We are in the process of finalizing the pavement marking and signage plans. Virginia Department of Transportation (VDOT) is in the process of repaving areas near Sherwood Hall Lane, We will submit the final plans to VDOT on April 25th for their review and implementation. If you have any questions or would like additional information, please email me at Seved.Nabavi@fairfaxcountv.gov or call me at (703) 877‐5759. 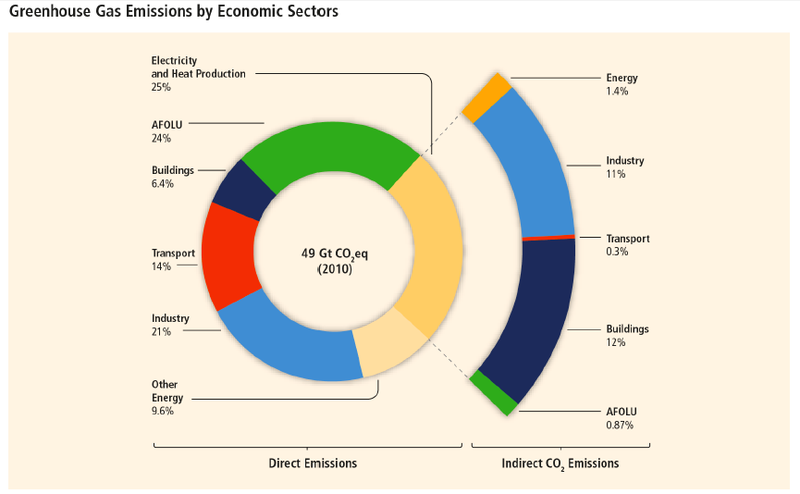 For all economies, especially those with high rates of urban growth, investment in public transport systems and low‐carbon infrastructure can avoid lockin to carbon‐intensive modes. Prioritizing infrastructure for pedestrians and integrating non motorized and transit services can create economic and social co‐benefits in all regions. I continue to be surprised at how lightly most people treat climate change. Will taking a few trips by bike make a big difference? Maybe not, but it will make a difference, and it is an example to the next generation that shows them we care about their future. Hat tip to BikePortland for pointing out this article in their Monday roundup. Also in the roundup it was mentioned that Bike Delaware lobbied the state to remove "Share the Road" signs from their roads: "For many motorists, 'Share The Road' is often interpreted as a sign primarily directed at cyclists and meant something more like 'Bicyclists: don’t slow me down.' But we finally realized (after years of pointless yelling back and forth between cyclists and motorists, both yelling 'Share The Road' at each other! ), that 'Share The Road not only doesn’t help, it actually contributes to conflict and confusion." They prefer "Bicycles May Use Full Lane" signs. The roundup also mentioned the very interesting interactive graph depicting various transportation data, including the decline of vehicle miles traveled in recent years. Finally, as a former golfer, I really like their link to the article on a new option at a Vail, Colorado golf course; renting a bicycle-powered golf carrier. The FABB monthly meeting is tomorrow, Wed. April 16 at 7:30pm at Patrick Henry Library. This is a busy time for cyclists in Fairfax and the region. 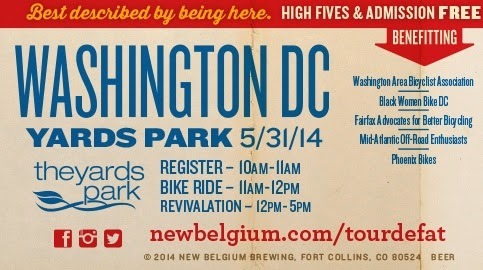 Tour de Fat is returning to Yards Park in DC on May 31 and FABB needs volunteers to help at the ID/Wristband station. Volunteers will receive a free t-shirt and two beverage coupons. The event is a major fundraiser for FABB and other local bike groups. The FABB meeting is open to all interested cyclists. Wednesday, April 16, 2014, 7:30 p.m.
Today we took an afternoon ride to check out the local flowering trees. There are thousands of trees in bloom throughout the county and this is the perfect time to check them out. We decided to head to north Reston on the trails and neighborhood streets. Since we're replacing some shrubs in our front yard we also wanted to get some landscaping ideas. In order to get to north Reston we rode a short distance on the W&OD Trail, then to Old Reston Ave and on to North Shore Drive. We then crossed Baron Cameron Dr and wandered through several neighborhoods. We used the very good Reston Map that shows all of their paved trails. Most of the time we just wandered along neighborhood streets. We realized that we'd never traveled on many of the short cul de sac streets off of Wiehle Ave and Reston Parkway. 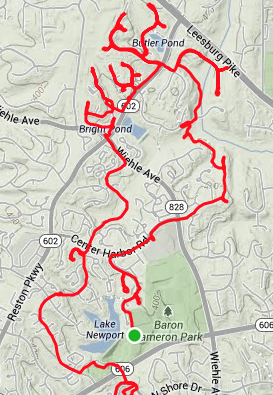 Even in Reston, known for it's great trails, there are many cul de sacs with no connecting trails, so there's usually no reason to ride there unless you're on the Tour de Cul de Sacs. Many of the trees along those streets were in bloom. It was a very pleasant ride, wandering at about 7 or 8 mph checking out yards and trees. That was when we decided to call it the "Tour de Cul de Sacs." It makes for an interesting route map. Why not get out and take a casual tour of your neighborhood and discover places where you normally don't travel. It beats doing the same old routes that everyone else is using. 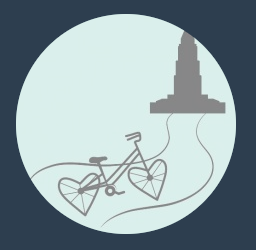 Use the Fairfax Bike Route Map and smartphone app to find your way. Last week the Fairfax County Board of Supervisors held their public hearings on the budget for the coming year (FY 2015). Below is testimony I gave on Thursday evening. I asked that the bike coordinator position be funded and that the bike program be expanded to include dedicated funds and additional staff. Chairman Bulova and members of the Board. Thank you for this opportunity to speak tonight. I am chairman of Fairfax Advocates for Better Bicycling and am speaking on behalf of Fairfax cyclists. I'm here to urge you to fund the bike coordinator position. While the position is included in the FY 2015 budget, we were disappointed to see that it appeared on the list of possible budget reductions submitted by County Executive Long. I had planned to speak tonight about the need to expand the bike program by increasing staff and having an operating budget, which would include funding for Bike Fairfax, which is envisioned to be a program for encouraging employees and residents to use bikes for short trips, similar to Bike Arlington. The Bike Coordinator currently doesn't have the resources to have an effective bike program, with no operating funds and limited staff. That being said, you allocated extensive resources to bicycle and pedestrian capital projects in January, and we're very thankful for those funds. The bike coordinator is essential to ensuring that the bike projects succeed. The Fairfax County Bicycle Master Plan was completed in July 2012 and will come before you later this spring. The DRAFT Plan recommended that the county have an active bicycle program with dedicated funding and " a minimum staff of three full-time employees." Think about how many resources are devoted to moving people by bus in the county. Fairfax Connector has a $90 million budget with 25 county staff and I estimate over 200 Connector staff. The schools spend $144 million on busing kids using approximately 1200 bus drivers. We think it makes sense to have more than one person devoted to encouraging residents to travel by bike and ensuring they can do so safely. Bicycling as a mode of transportation continues to grow each year. 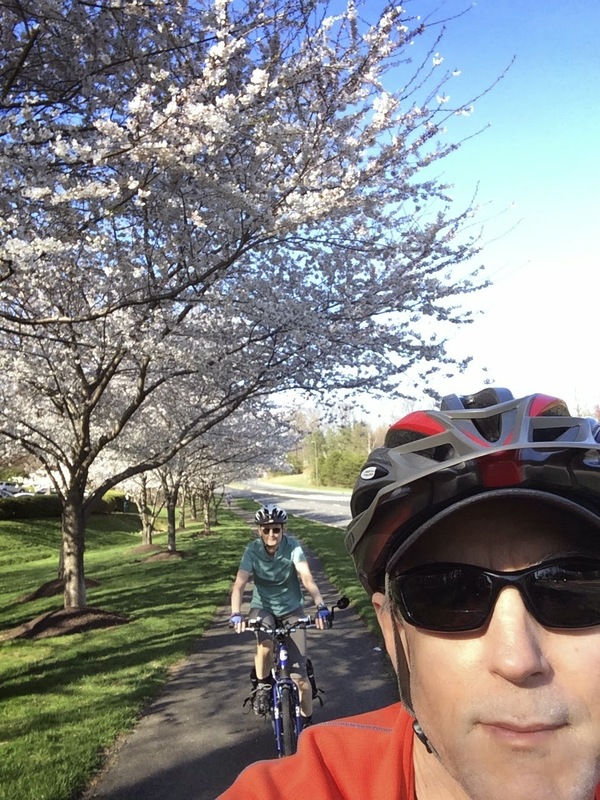 Participation in Bike to Work Day has gone from around 300 cyclists at 2 events in 2002 to 1800 cyclists at 10 events last year with two events being added this year in McLean and Fair Lakes. More people are looking for ways to get around using active transportation and relying less on cars. You're focusing growth around activity and transit centers, including Tysons, and bicycling is a critical component to the success of those places. A major priority of yours is for the county to have an "Efficient Transportation Network" that includes "comprehensive bicycle and pedestrian initiatives." Without a bike coordinator that goal is not possible. In fact, bicycling touches on at least 5 of your 8 priorities including Safe Streets, Sustainable Environment, Livable Communities, and Recreational Opportunities. Arlington County, with 1/5 our population, has 6 full time people devoted to building bike facilities, encouraging people to bike, and educating cyclists and motorists. I was pleased to hear that at their monthly meeting last night the Trails and Sidewalks Committee approved a memo to Chairman Bulova in support of the bike coordinator position. It will be difficult to attract bright, ambitious professionals for the bike program if the coordinator position keeps appearing on the budget reductions list. Please fund the position and the bike program so you can continue the good work being done to promote bicycling in the county. And I hope you all can attend the Bike to Work Day events in your districts on Friday May 16. Virginia Bicycling Federation recently presented their Bicycling Friendly Awards to three Virginia legislators, honoring them for their support for Virginia bicyclists. Two of the legislators are from Northern Virginia, Senator Chap Petersen and Delegate Barbara Comstock. Thanks to both of them for their efforts. Senator Bryce Reeves, (R-Spotsylvania) was the Chief Patron of SB 97, the Three Foot Passing bill, which was recently signed into law by Governor Terry McAuliffe. The law goes into effect on July 1. Also recognized for their support of pro-bike legislation were Delegate Barbara Comstock (R-Fairfax/ Loudoun) who sponsored the following too closely legislation, HB 82 and Senator Chap Petersen (D- Fairfax) who sponsored the anti-dooring bill (SB 225). Despite great efforts to get Petersen and Comstock’s legislation through, both bills were defeated. A big thanks to these legislators who supported our efforts to make Virginia a more friendly place to ride bikes. Another good series of drawings from Bikeyface: If I Owned the Road. To see the series click on the first drawing. On July 1 Virginia will too! Senate Bill 97, Minimum Clearance for Passing, was signed into law by Governor McAuliffe on March 27. The bill requires that "Any driver of any vehicle overtaking a bicycle...shall pass at a reasonable speed at least three feet to the left of the overtaken bicycle..." The new law goes into effect on July 1. This is a major victory for Virginia Bicycling Federation, WABA, and everyone else who worked to get this bill passed, including FABB supporters who contacted their legislators during the session (see the FABB three feet to pass coverage). Thanks to everyone for their hard work. in lower left corner of photo. The next step is an educational campaign alerting everyone to the new requirement. It's a good opportunity to spread the message that bicyclists belong on the road and that motorists must treat bicyclists with respect when passing them. When Georgia passed their three foot passing bill, bike groups held "3 Feet 2 Pass" rides to celebrate. Austin police produced a video on their vulnerable road users bill that includes a requirement that motorists allow three feet to pass and commercial vehicles allow six feet. Austin police also were out on bikes actively enforcing the bill. 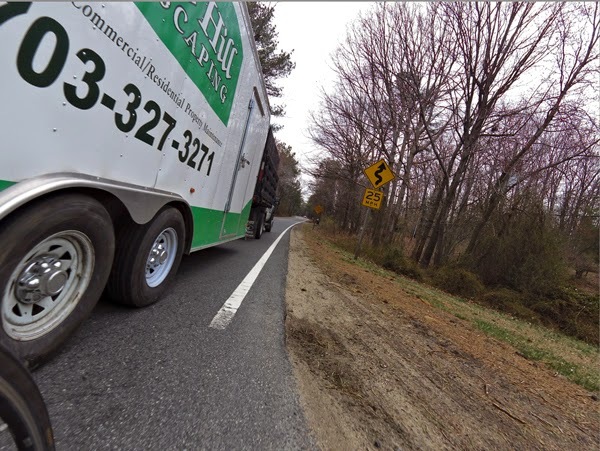 Why not celebrate early and encourage everyone to allow three feet or more to pass bicyclists (unlike the driver of the truck and trailer seen in the photo at the right taken today in Reston).